2fl oz / 59ml. eucalyptus original Rainbow Fragrance. One bottle 2fl oz / 59ml. 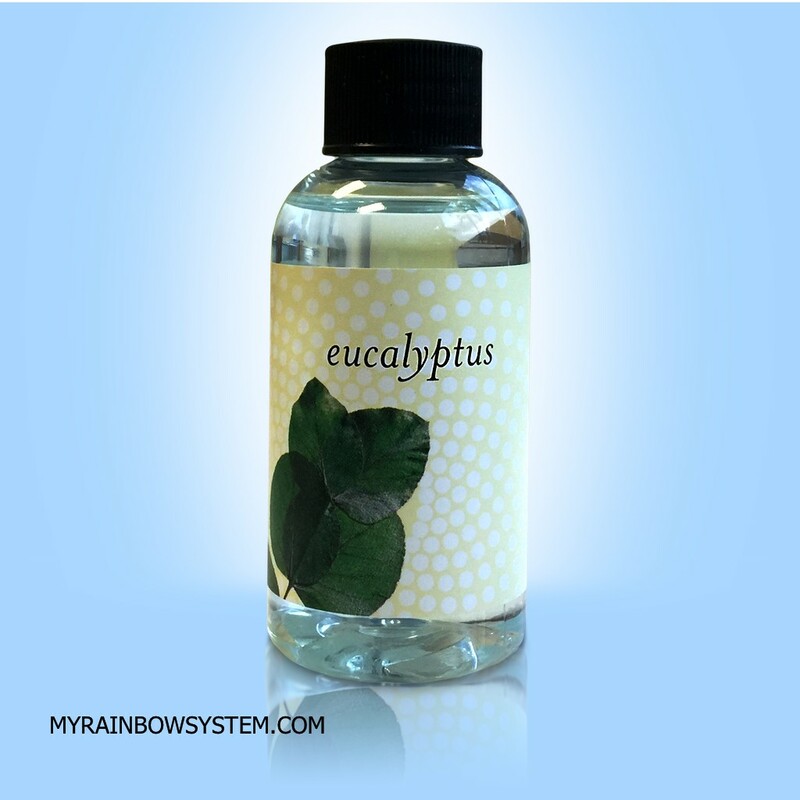 The original Rainbow Fragrance Oil Eucalyptus, make your home smell like an eucalyptus forest and treat your Environment helping you to breath better. 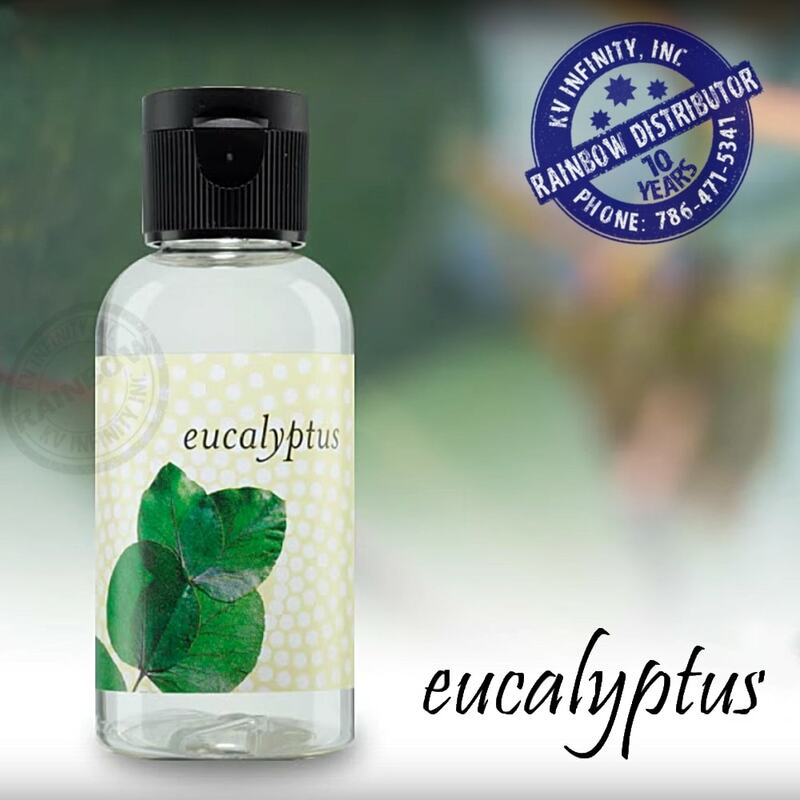 Turn your home into a virtual spa with the RainMate and a couple drops of Rainbow original Eucalyptus fragrance. 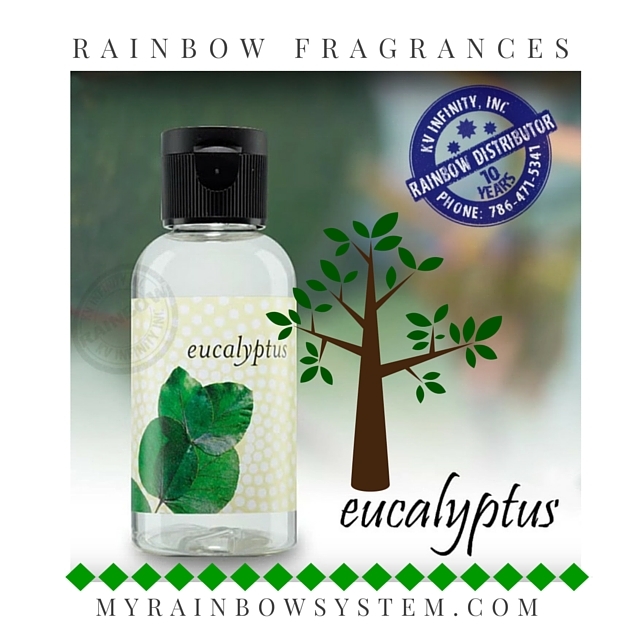 This product is intended to be purchased by unit, a bottle of Eucalyptus Rainbow fragrance, normally last for 1 week if you use it daily with your Rainbow or RainMate, but you can also buy the Eucalyptus by pack of 4 bottles here.